This week in our Foreign Student Series, we talk about the Fulbright Program. It sends Americans to study, teach or do research in other countries. And it brings people from other countries to do the same in the United States. Fulbright grants are awarded each year to more than seven thousand people. These are graduate students, scholars, teachers and people in other professions. The United States government pays most of the costs. Foreign governments and schools help share the costs and provide other support. 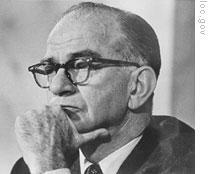 Legislation introduced by Senator William Fulbright established the program after World War Two. Today it operates in more than one hundred fifty countries. Close to three hundred thousand people have taken part since nineteen forty-six. More than half of all Fulbrighters have been foreign students. The Fulbright Program is really a collection of programs. It represents a partnership of government agencies, private organizations and other groups around the world. The Language Teaching Program, for example, brings teachers of English as a foreign language to work at American colleges and universities. Another program gives forty International Science and Technology Awards each year to foreign doctoral students studying science or engineering. The Fulbright Foreign Student Program helps graduate students and young professionals do research and study in the United States for a year or longer. Each year more than three thousand of these awards go to foreign graduate students. The Fulbright Teacher and Administrator Exchange Program offers a true exchange -- meaning two people trade jobs for a time. The countries with the most Fulbrighters in the United States this year are Germany, Pakistan, Chile, Indonesia and Turkey. State Department official Marianne Craven says Fulbrighters not only want to learn, but also to help improve international understanding. You can learn more about the different Fulbright programs by going online to fulbright.state.gov. Or check with a United States embassy or the Fulbright Commission in your country. And that's the VOA Special English Education Report, written by Nancy Steinbach. This was program number twenty-one in our Foreign Student Series on higher education in the United States. The series can be found at www.unsv.com. I'm Steve Ember.